EWI is often in the press. We try to collect each press release as well as publication here. Other ways to keep up with EWI news include 'liking' our Facebook page and subscribing to the monthly Connect newsletter. Chattanooga Girls Leadership Academy graduate Kaitlin Newton has received a $1,000 scholarship from the Chattanooga chapter of Executive Women International. Newton will attend Chattanooga State Community College this fall. Since chartering in 1987, EWI of Chattanooga has contributed more than $170,000 in scholarships at area schools. This is the first time a high school student has been a recipient; traditionally, the scholarships are awarded to women already attending college. 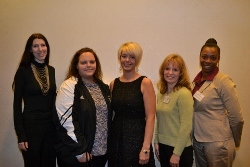 At the Executive Women International scholarship presentation are, from left, Elaine Swafford, director, Chattanooga Girls Leadership Academy; Kristina Smith, First Tennessee Bank; Delores Lewis, United Way of Greater Chattanooga; Kaitlin Newton, recipient; Nancy Harrison, Spicer Rudstrom, PLLC; Jennifer Fox, CGLA; Ani Yacoubian, Yacoubian Tailorsors. The Chattanooga Girls Leadership Academy will reach a historic milestone this week by holding its first graduation ceremony on Friday. The inaugural ceremony will take place at 6 p.m. at the Chauncey-Goode Auditorium on the campus of Tennessee Temple University. Founded in 2009, CGLA serves girls in grades six through 12 and was the first single-gender public charter school in Tennessee and the first approved public charter school in Hamilton County. CGLA was also the first school in the county to focus its academic program on science, technology, engineering, and math (STEM), a model that has been expanded to integrate the arts throughout the curriculum. Executive Women International (EWI) of Chattanooga donated $1,000 to Chattanooga Girls Leadership Academy graduate Kaitlin Newton. Ms. Newton will continue her education this fall at Chattanooga State. Since chartering in 1987, EWI of Chattanooga has contributed more than $170,000 in scholarships at area schools. This is the first time a high school student has been a recipient; historically the scholarships have been awarded to women already attending college. EWI of Chattanooga President Ani Yacoubian, of Yacoubian Tailors, says, "EWI representatives know the funds they donate make a real difference in the lives of local women; that's important to us. We recognize the good work CGLA is doing for our youth and we wish Kaitlin all the best. We're already planning our December meeting when Kaitlin will join us to celebrate her progress at Chattanooga State." After Melissa Mitchell graduated with good grades from Marion County High School in 1997, she knew she had the potential for a four-year academic degree but admits to a lack of motivation. A meeting with Cathy Brown of the Educational Opportunity Center changed her mind. The EOC, funded by the U.S. Department of Education, is part of the Center for Community Career Education at UTC. It offers free counseling and information to adults who want to apply for college. Ms. Brown explained Ms. Mitchell could receive EOC assistance in application for scholarships and grants. The EOC also offered to help her choose a college and a field of study. Ms. Mitchell recalls when she was informed of all the services, she realized she could access a support system geared toward her success. She quickly responded. The EOC staff became very well acquainted with Ms. Mitchell. She remembers what it felt like to have no more funding for school, and then the EOC staff told her about a scholarship that would allow her to continue her studies with no interruptions. She was encouraged to compete for the scholarship, funded by Executive Women’s International [ed: sic, emphasis added] - to her delight, she was selected as the recipient of the Jean Bradford Award in 2012. “EOC was open, inviting and informative, and they encouraged me to excel as a 31-year-old single mother of a four-year-old son," said Ms. Mitchell. "UTC was the obvious choice for me to further my education." Ms. Mitchell explains she has learned valuable skills on the way toward achieving her goal of becoming a Community Social Worker. As she earned her degree, she has operated a free store for children on Saturdays in the East Lake community. Her new BSW degree will play a critical role in her future as she continues to assist children. Educational Opportunity Center provides free assistant (admission/financial aid/choosing a college or a major) to those that do not already have a four year degree and desire to go to college or to get their GED. Financial aid and admission priority deadlines for the fall semester are almost upon us. Area Schools: Chattanooga State: July 1 all students; UTC – Transfer students/Readmission Students: July 1; Dalton State: July 1 all students; GNTC May 31 all students. For more information or to schedule an appointment call 425-1702. EWI of Chattanooga announced it is hosting the international Spring Conference 2013 on April 18-20, at the historic Sheraton Read House Hotel. All area professionals are encouraged to attend and enjoy this year’s impressive lineup of guest speakers. A few speakers at the conference include Dr. June Scobee Rodgers, “My Path Toward Leadership” and Lori Giovannoni, “Emotional Intelligence and Leadership, Making the Connection”. 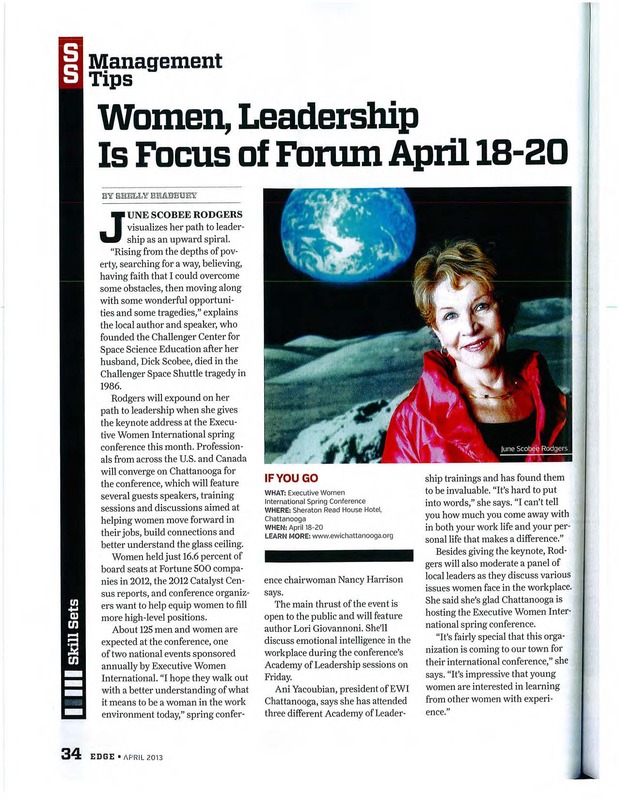 In addition, we have Dr. June Scobee Rodgers moderating the panelists group on “The Pros and Cons of Breaking the Glass Ceiling” on Saturday morning. The theme of this year’s event is, “Leaders with Vision – All aboard to a positive future.” Non-members of EWI are welcome, and attendees can either purchase a full-weekend or Friday-only pass to attend Academy of Leadership. The Academy of Leadership will qualify for five EWI Professional Development Hours with certificates available. Officials said, "Our membership ranges from entrepreneurs to small businesses to large corporations. We have a vast range of talented professionals in our network with a real commitment to civic responsibility. This event provides an excellent learning and networking opportunity for professionals of all ages." EWI of Chattanooga will celebrate its 26th year as a chapter of the international organization. 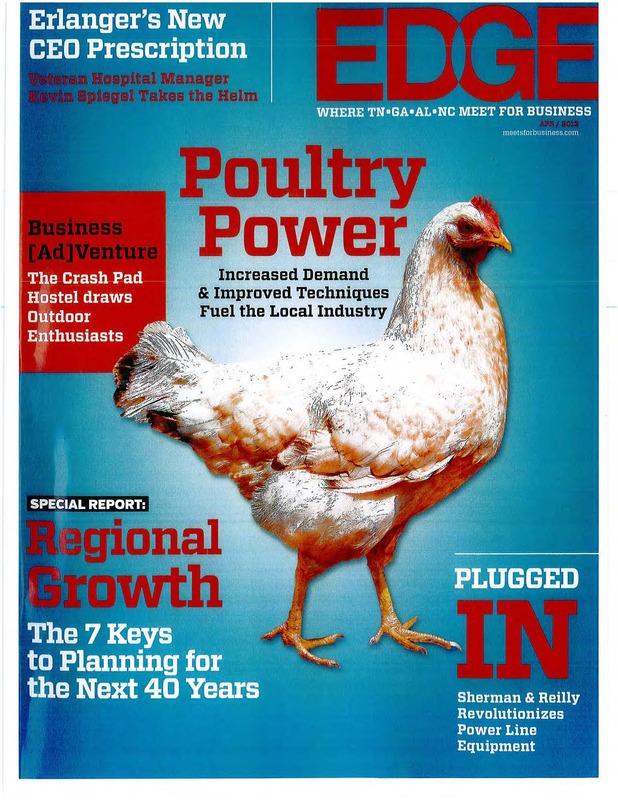 The chapter has over 60 member firms. EWI is a nonprofit that strives to connect diverse companies to promote business, enhance personal and professional development, and encourage community involvement. The conference is open to the public. For more information, please contact EWI of Chattanooga at connections@ewichattanooga.org. One may also register for the event online at http://www.ewichattanooga.org/spring-conference. Executive Women International of Chattanooga recently donated $12,000 to the Jean Bradford Memorial Endowment Fund at UTC, $6,000 to Chattanooga State and $3,000 to Southern Adventist University, money that was awarded to five local women who are students at the institutions. All three institutions are member of EWI. The scholarships are specifically designated to make it easier for single mothers to go to college. EWI began the tradition of donating money to be used for scholarships in 1996. 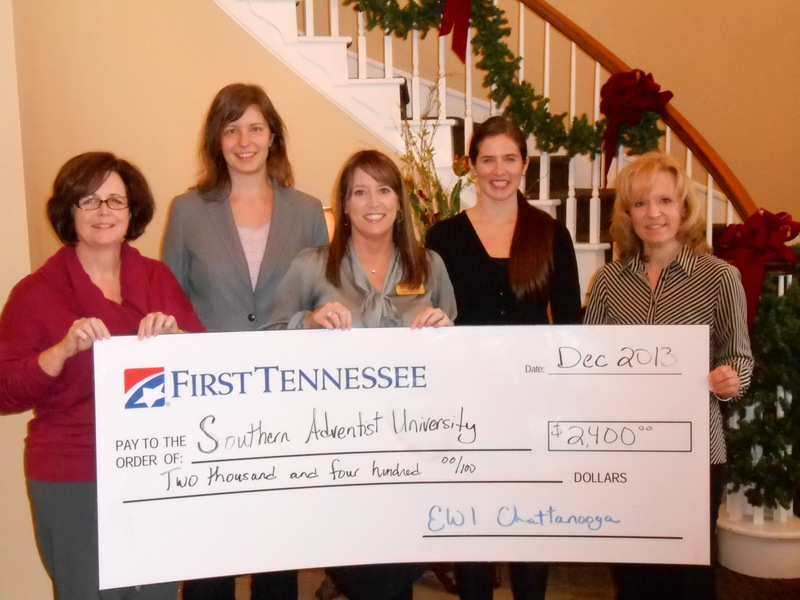 Since chartering in 1987, EWI of Chattanooga has contributed more than $170,000 to scholarship donations at area schools. "EWI representatives feel fortunate to have made a positive impact on their community through enriching the lives of local women," EWI of Chattanooga President Ani Yacoubian, of Yacoubian Tailors, said in a prepared statement. "Connections, careers and community" is the tagline of EWI, fulfilled through connection and promotion of member companies, career-enhancing professional development and community involvement, officials said.